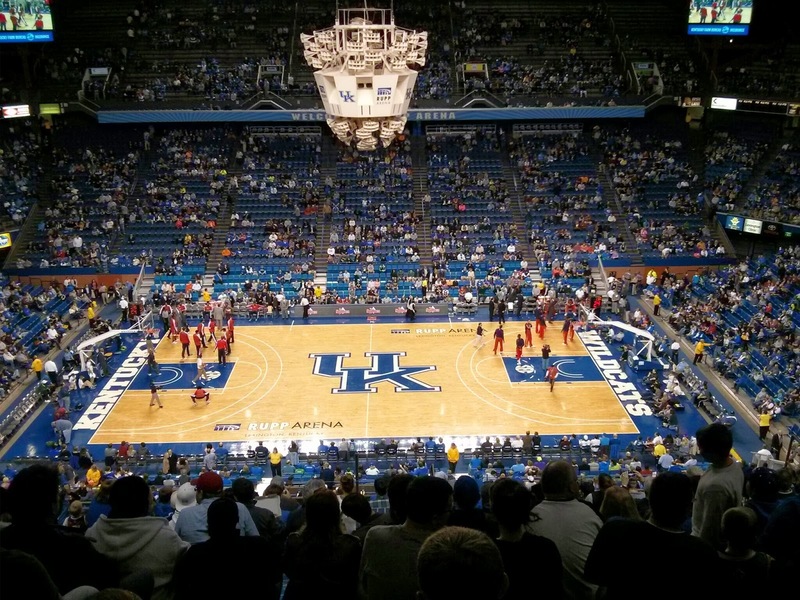 In keeping with my NBA theme, over Fall Break we went to a preseason NBA game at Rupp Arena. This game was actually our reason for going to Lexington for break, not Keeneland (we bought 4 tickets for Eric's dad and sister to come too). Eric's dad is a season ticket holder for Kentucky, so we've been to a lot of games at Rupp Arena. (I know, I know, IU fans...my own Indiana-grad dad almost disowned me. 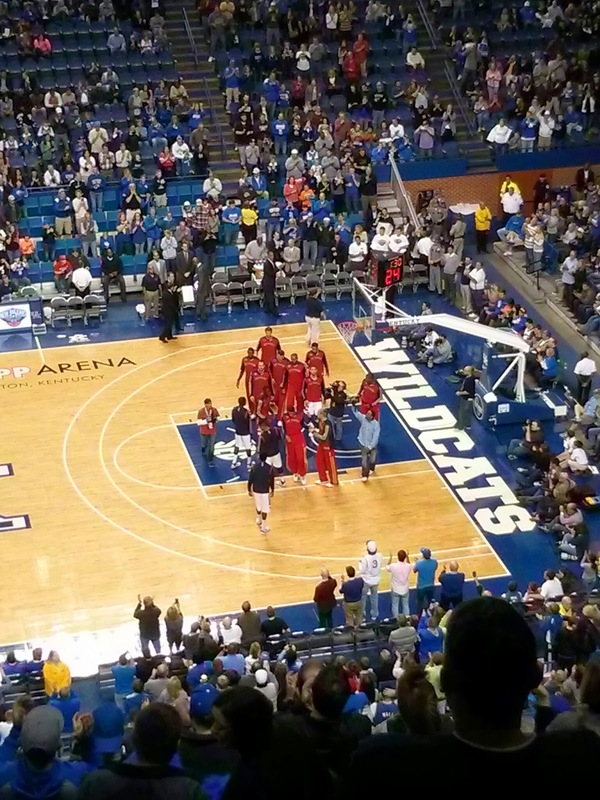 But there is nothing like live basketball, and UK and IU don't play each other anymore anyway.) But this time it felt a lot different because we weren't there for a college game. For one, normally we sit on the other side and up higher. For two, there were only around 14,000 people in the arena, and we had actually space around us to sit and spread out, whereas at UK games the whole place is packed and for the most part, you are squished next to all the people sitting near you. :) And for three, NBA game security is much different from college game security...and college game security is WAY BETTER. We almost missed tip off because it took so long to get through security (and security wasn't any more thorough - they just didn't understand how to actually get large amounts of people into the game... we actually ran into this again at the Pacers game; super frustrating!). 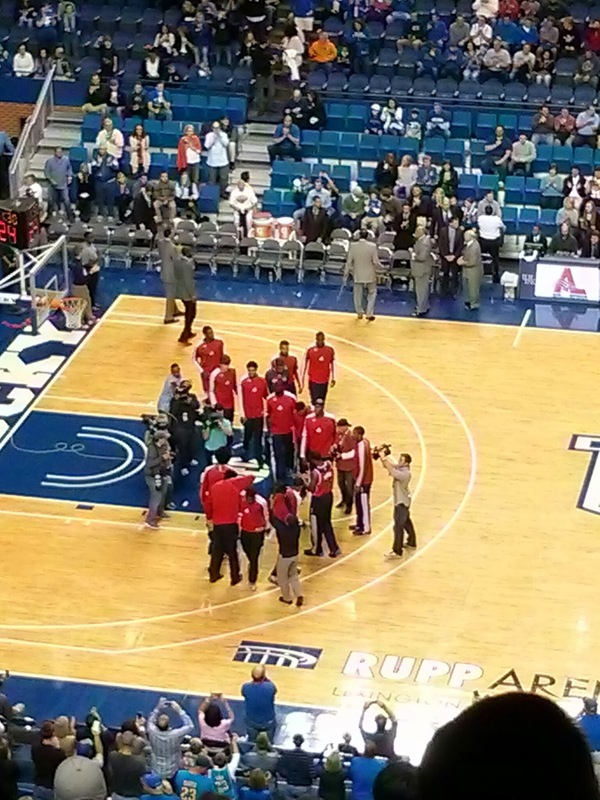 This game was appealing to us because it was the Washington Wizards (John Wall) and New Orleans Pelicans (Anthony Davis, Darius Miller, Eric Gordon) - so there were players we cared about, in particular the Kentucky guys who were playing back on their home court. Those guys are somewhere in the huddles above and below. And of course, my traditional tip-off photo! 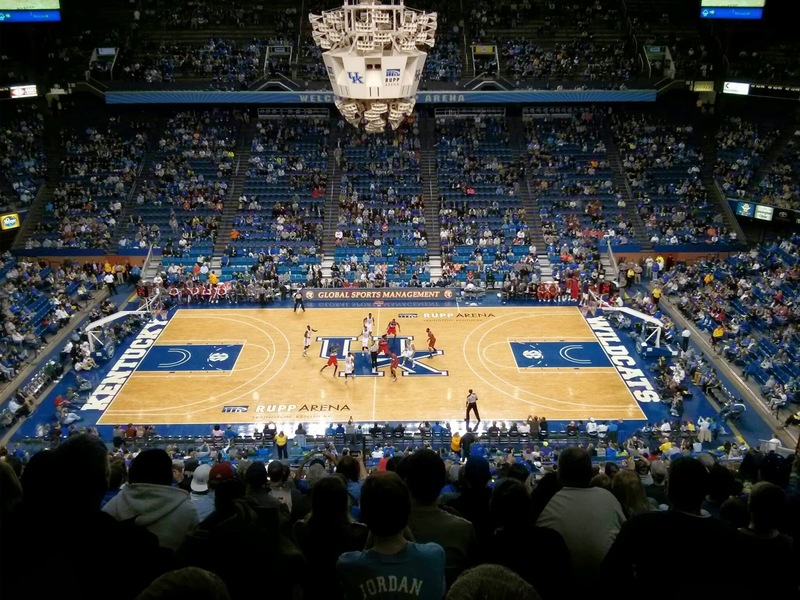 If you've never been to a game at Rupp, it's a pretty cool experience. It's huge (seats almost 24,000) and a fun atmosphere. 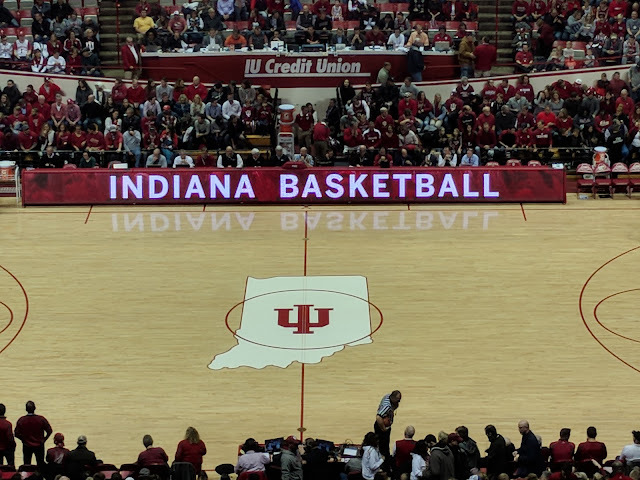 Even if you're a die-hard IU fan (or UK hater) I would still suggest it for the experience alone!